This Monday marks the 70th day of the 140 day legislative session. The deadline for bills to be filed has passed and a total of 7,281 bills were filed. This week we will have our first floor calendar where bills will be debated and, if passed, sent over to the Senate for consideration. At this juncture of session, the majority of the day is spent hearing bills in committee. Over the coming weeks, that will shift to spending the majority of time on the House floor debating bills. 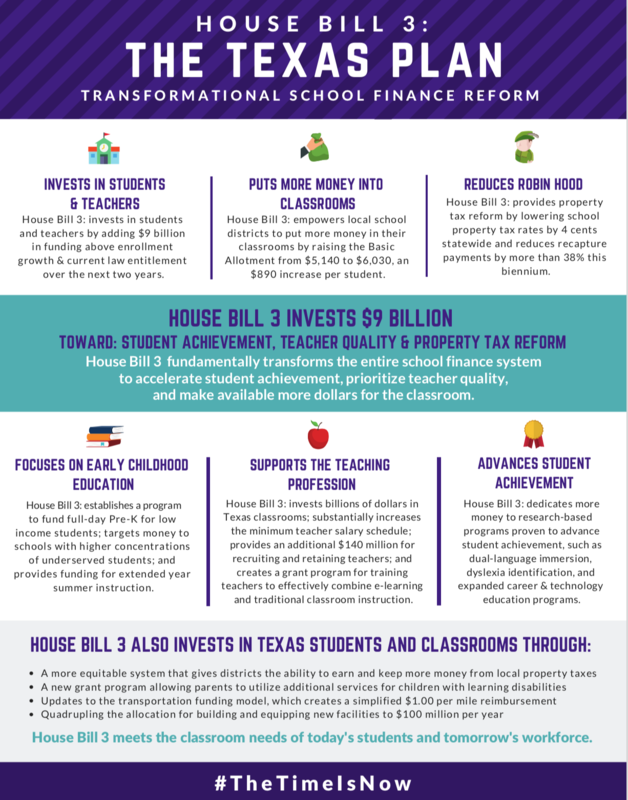 House Bill 3 invests $9 billion toward advancing student achievement, supporting Texas teachers, providing property tax reform, and allocates more dollars to Texas classrooms than ever before. School finance reform is a top priority and paramount theme for this session. HB 3 known as “The Texas Plan” was heard in committee this week. In the days since the bill was filed, we have witnessed an outpouring of support from parents, teachers, school administrators, and various education and business advocacy organizations. This much needed reform invests in Texas classrooms and transforms our state’s public school finance system. What is so exciting to see is this bill has bi-partisan support with 104 legislators who have currently signed on as co-authors to show our commitment for reform to the antiquated school finance system. Last week we had a great hearing on HB 347 to end forced annexation statewide. Forced annexation is a legal process by which property located in an unincorporated area of a county may become part of a neighboring city against the property owner’s will. This means without their consent, they find themselves within the jurisdiction and taxing authority of a municipality when they have intentionally chosen to live outside the limits. Taxpayers then become responsible for paying for bonds and services for which they neither voted for nor approved. Simply put, this is taxation without representation. Parker and Wise counties became Tier 2 in November when a ballot measure was approved and are now protected from forced annexation but currently this protection is only in 16 counties in Texas. Protecting the property rights of all citizens is of utmost importance. This legislation would streamline the process and would allow cities to make the case to all residents and landowners to be annexed into their city limits. We also had a great hearing in front of the Ways & Means committee on HB 794. Buying property is one of the largest financial decisions most Texans make. But did you know we have certain provisions in Texas law that prevent landowners from using their land for its highest and best use? This legislation is a win-win for Texans and would significantly reduce the clawback tax imposed for agricultural properties when a change of use occurs. Current law imposes a substantial penalty on landowners when they decide to change the use of his or her land from agricultural uses to something else. A “rollback rate” or what I would refer to as a clawback tax is imposed where a landowner must pay local taxing entities 5 year clawback on the market value of the property as if it never held an agricultural exemption plus 7 percent compounded interest. This clawback tax substantially hinders your property rights and there is simply no justification for this excessive penalty that prevents properties from advancing to their highest and best use. I look forward to substantially reducing the clawback tax for this unnecessary burden to landowners. 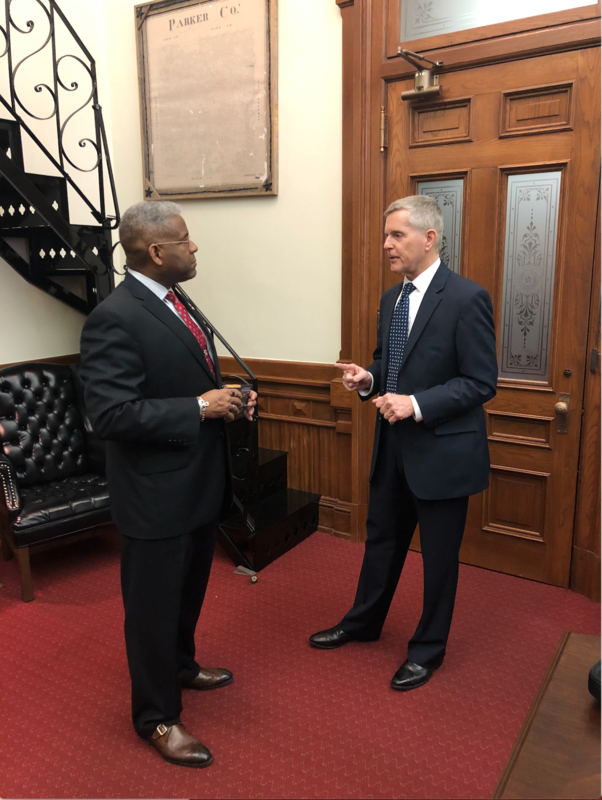 I hosted Lt. Col. Allen West in my office for Texas Faith & Family Day. 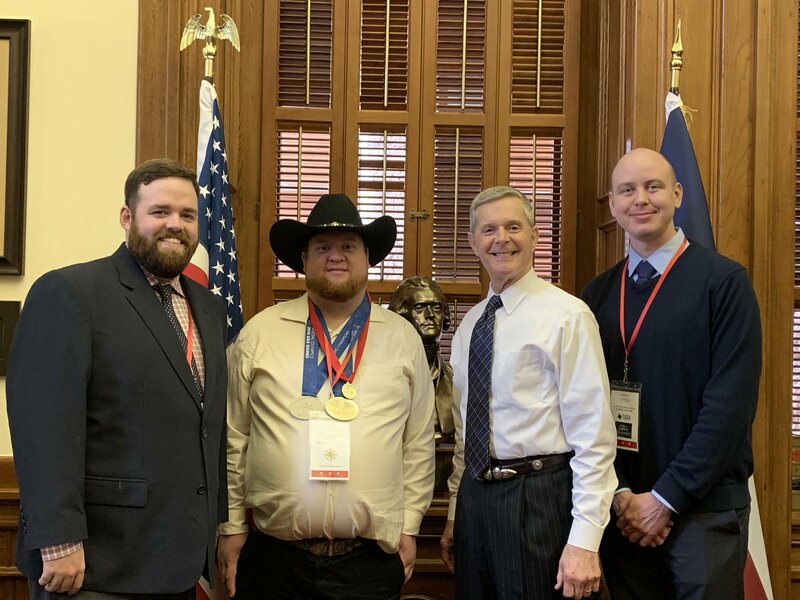 Special Olympics Athletes visit the Texas capitol. 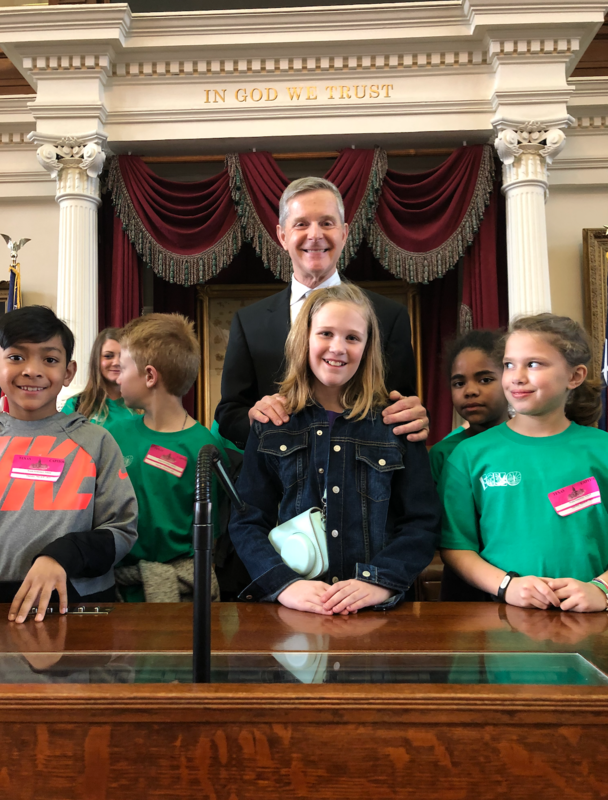 Walsh Elementary from Aledo ISD visits Texas capitol. Pictured is my granddaughter, Claire.